The controversial Banksy artwork ‘Slave Labour’ will lead a sale of street art at Julien’s Auctions in Los Angeles next month. 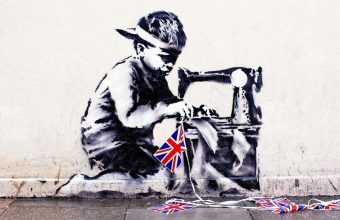 The auction on November 14 will offer the mural depicting a small child sewing a string of Union Jack bunting, which comes with an estimated price of $600,000 – $800,000. The work was seen as a protest against the use of sweatshops to produce memorabilia for the Queen’s Diamond Jubilee and the London Olympics in 2012. It was originally painted on the side wall of a Poundland store in Wood Green, London, but was mysteriously removed from the site and placed up for auction in Miami in February 2013. The disappearance of the mural sparked protests from local residents, who believed that the piece was a gift to their community and had been removed illegally. 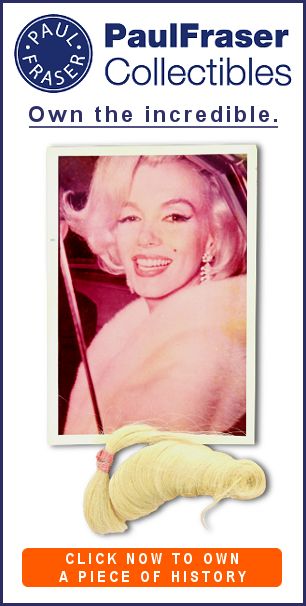 The work was pulled from the auction following the outcry and returned to the U.K, but was later sold for $1.1 million at another auction in London in June 2013. However, as one of the artist’s most famous works of recent years, ‘Slave Labour’ is once again set to attract attention from street art collectors around the world. 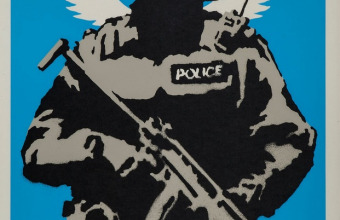 It will be joined in the auction by two further Banksy pieces executed as street artworks, originating from both sides of the Atlantic. First up is Crazy Horse (est. 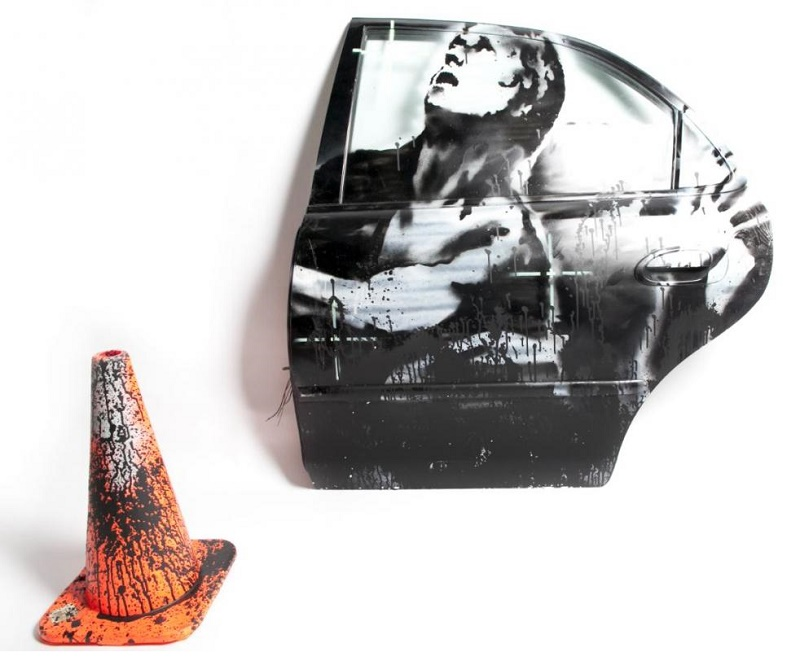 $100,000-$125,000), a stencilled car door and traffic cone which featured as part of an installation on New York’s Lower East Side in 2013. The original work in an alleyway depicted a stampede of horses wearing night vision goggles, charging over a pair of painted vehicles. It was accompanied by the sounds of a military audio clip, in which U.S helicopter pilots joked about killing civilians during an attack in Iraq. The second work ‘TV Girl (est. 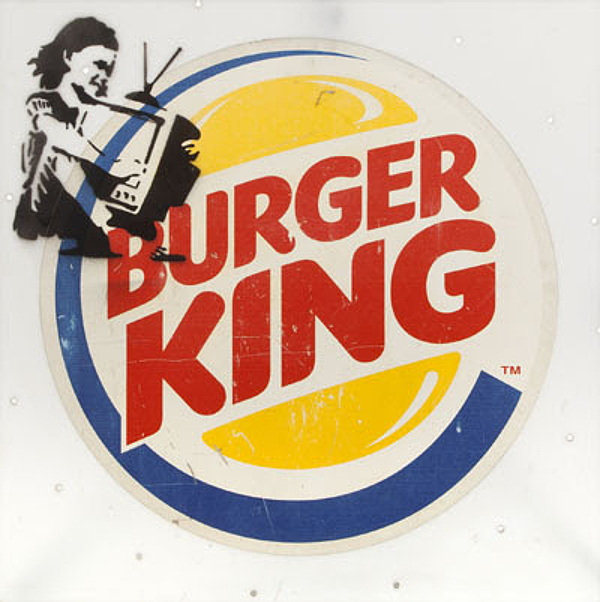 $40,000-$60,000) dates from 2003/2004, and is spray painted onto a Burger King sign which was originally situated in Banksy’s home town of Bristol, England. 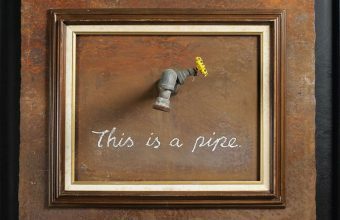 The Julien’s sale comes hot on the heels of one of Banksy’s most remarkable pranks, which stunned the art world and auctioneers at Sotheby’s last week. His iconic painting ‘Girl With Balloon’ sold in London on October 5 for a record-equalling $1.35 million – but moments after the hammer went down, the canvas automatically fed through a shredder which had been hidden in the base of the large gold frame. “We can’t guarantee that our four Banksy’s will automatically shred or explode but they will sell to the highest bidder!” commented Darren Julien, President of Julien’s Auctions.